A new “regional brand” for the Wide Bay Burnett region will be unveiled at the Regional Queensland Lifestyle Expo to be held on July 16-17 in Brisbane. 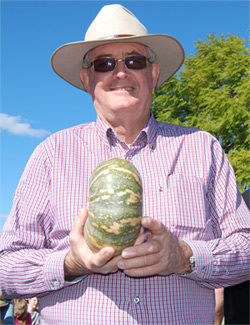 Wide Bay Regional Organisation of Councils (WBBROC) chairman – and Gympie mayor – Cr Ron Dyne said WBBROC would be hosting two “pagodas” at the Expo in King George Square to promote the diverse assets and attributes the region offers. WBBROC will be using the event to unveil a new regional brand and tagline that “supports our focus on encouraging families and businesses/industry to consider relocating/moving to the region”. WBBROC consists of the six Councils in the Wide Bay Burnett Region including Gympie Regional Council, North Burnett Regional Council, South Burnett Regional Council, Fraser Coast Regional Council, Cherbourg Aboriginal Community Council and Bundaberg Regional Council. “WBBROC is committed to showcasing our region at this Expo because we consider it an excellent means by which the region is promoted to people in south-east Queensland who may be interested in making a sea change/tree change for their family or, for businesses who are seeking to establish/expand new/existing operations in another part of the state,” Cr Dyne said. “The six councils have also invited industry representatives from their own local areas to join with WBBROC and not only, promote their business, but also share their experiences and achievements while establishing their business in the region.